Hello everyone! Since becoming a blogger I have had the opportunity of meeting some amazing book fans as well as equally amazing bloggers. BookNut is just a prime example of that. I was lucky enough to have met her through the Splintered fandom and so she was my friend before I became a blogger. 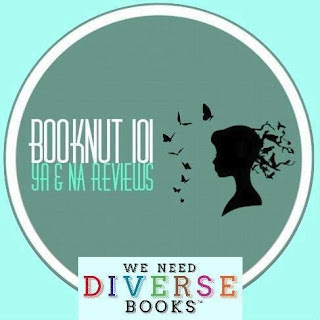 BookNut is incredibly kind as well as a very talented book blogger. So I thought it would be lovely to have her as my first guest on my blog. I hope you all enjoy her post on how strong female characters effect lady readers, and what it takes to create the perfect female lead. If you like what you read, make sure to check out more of her book discussions and reviews over on her blog. Whether they're warrior women with penchants for sharp weapons, or fair maidens with sharp minds and wills of steel, strong female characters are a welcome addition to any tale. If depicted in the right way, a strong female character can become so much more than a reader's fictional friend. She can become a standard, a symbol of female power and influence - a source of inspiration and kinship. Readers, male and female, can look at a strong female character and learn from her and her trials and aspirations. But what makes a strong female character? It's not just her physical strength. She may be good with a bow like Katniss Everdeen, or a dab hand at spells like Hermione Granger - but it's not her skill set that defines her as strong. It's her mental capabilities. It's the way she's able to feel, to love, to lose, to sacrifice. It's her ability to take something terrible and turn it into something beautiful. Many books like to represent 'strong female characters' and women who are able to shut off emotions and get on with the job. This, to me, is so wrong on so many levels. What makes us as females strong is not our ability to shut off emotions, but our ability to harness our emotions and to use them in positive ways. The best heroines are the ones who draw on their past, their failures, the sacrifices they've made, and their faults - and who use these to triumph over the obstacles in their way. It's moments like the one mentioned above - where the female character acknowledges the strength to be found in weakness and imperfection - that make a female character a heroine. I remember reading this series, and that quote, and thinking 'I understand this. I understand her.' When an author strips down their characters' defences and allows readers to see the raw and chaotic whirl of emotions underneath, that is when readers feel the closest to these characters. That is when these characters become friends, role models, and sources of inspiration. I have a friend who grew up with a mother who was verbally abusive. Once, my friend borrowed a book from me (which was centered around a character with a verbally abusive mother). When she came back to return the book, she said to me, "You know what the best part was? The part where she (the character) realizes that hating her mother was poisoning her more than the abusive words were. And that she needed to forgive her mother in order to move on with her life." That book in some small way, through its female protagonist, managed to speak to my friend and aid her in setting about fixing her own life. My friend now has a functioning relationship with her mother. Although they aren't close, my friend has managed to let go of her ill will and focus on becoming the best person she can be. She saw herself in that book's female character. She saw a mirror image of her own struggle, her own pain. And she saw a chance at hope, at a better future. A strong female character doesn't need to be Wonder Woman. Or Supergirl. She doesn't need to have special powers, a sword collection, or even a badass wardrobe (although that is never a bad thing to have!). But what she does need to have is honesty. Her character needs to be real. She needs to be made up of human emotions, flaws, strengths, and hopes, as she faces her demons. To authors: don't be afraid to write strong females. But don't forget to give them a voice and a heart. And to the authors who do write strong female characters, thank you. Thank you from the bottom of my heart for giving me women who I can cry, laugh, and smile with. To readers: read. Read, read, and read some more. Fill your mind with the words and strength of the characters you've befriended on your literature journeys. Allow them to be your invisible shields in a world that is always seeking to tear you down or make you into something you are not. Be the hero/heroine in your own story. 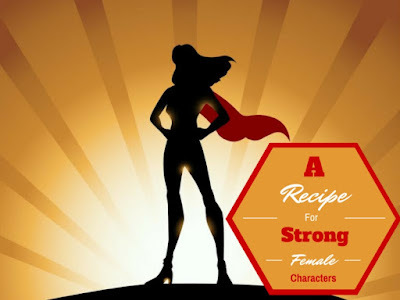 What do YOU think makes a strong female character? What femal characters have inspried YOU? Tell us in the comments! hey! This is @SimplyShelbs16 from Twitter/Tumblr/etc.. lol! This article speaks to me just as the strong female characters in books and even TV shows do. I just wanted to list a few of my favorite inspirational women of literature: Hermione Granger (Harry Potter), Tessa Gray (The Infernal Devices), Clary Fray (The Mortal Instruments), Isabelle Lightwood (The Mortal Instruments), Ruby Daly (The Darkest Minds), Alice Bell (Alice In Zombieland), Alyssa Gardner (Splintered) & Belle French (not from books, but Belle from Once Upon A Time is so badass).